Our Music Together® program is awesome for children from 8-months through age 5—and the grownups who love them! Each week, a trained Music Together teacher leads the class in singing, dancing, and playing songs that range from tender lullabies to boisterous jams using child-friendly percussion instruments. With award-winning music, illustrated songbook, and other print and online resources will help you continue the music-making fun at home and nurture your child's musical growth—even if you don't think of yourself as a great singer or dancer. Like parenting, making music requires no previous experience or expertise, just a willingness to get down on the floor and get silly with your child! 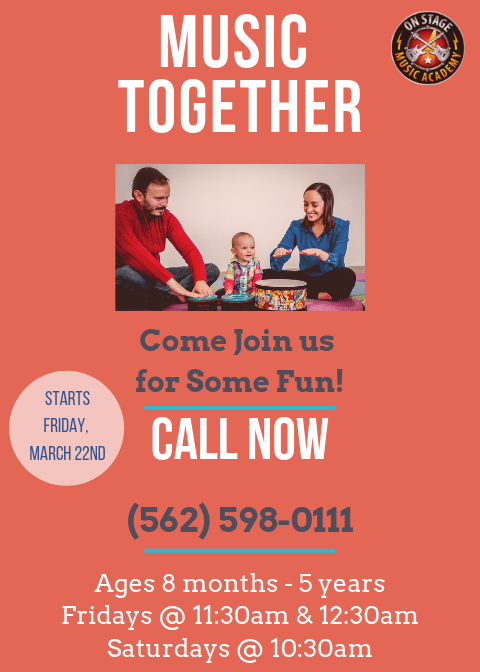 There are lots of group activities for kids out there, but Music Together offers a true family music class for the youngest infant to the oldest great-grandparent, and everyone in between. Imagine an extended family with a dozen or more kids and a bunch of caring adults, and you'll get the idea! 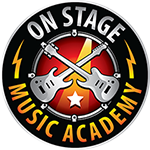 Contact us by e-mail or by phone at (562)598-0111 to register for a free trial lesson!